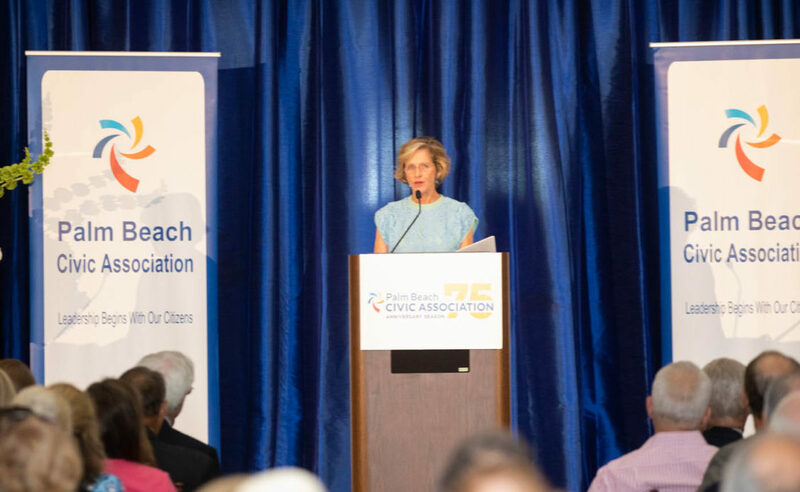 Diane Buhler, Founder of Friends of Palm Beach – the beach cleanup non-profit, called the Civic Association with a news tip Monday. 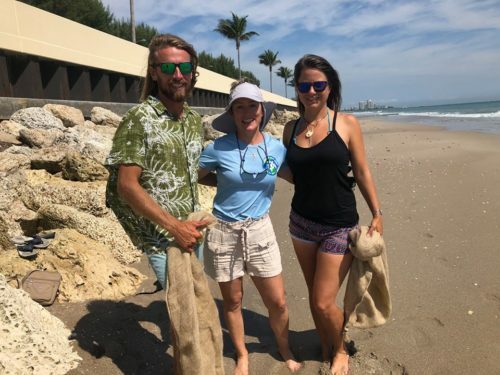 Environmentalists Bryan Galvin and Heather Bolint, from Plastic Symptoms, who are on a 400 mile beach walk on the east coast of Florida to raise awareness about the dangers of ocean plastics, found a giant plastic disk on the North End beach known as a Fish Aggregating Device (FAD). FADs are floating artificial structures that are deployed in the ocean to attract schools of fish for commercial fishing operations. 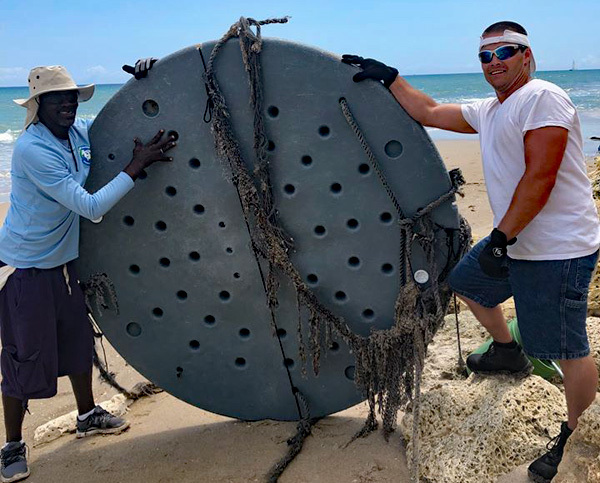 Typically, these FADs consist of a floating raft, submerged synthetic netting, and a satellite buoy that allows a fishing vessel to return to a specific location to gather the catch. Synthetic rope or webbing often secures the components to the raft, and the webbing beneath the device can extend to depths of more than 200 feet. Drifting FADs float freely on the ocean surface and act like a seaweed line or mat and attract multiple species gathering underneath them. 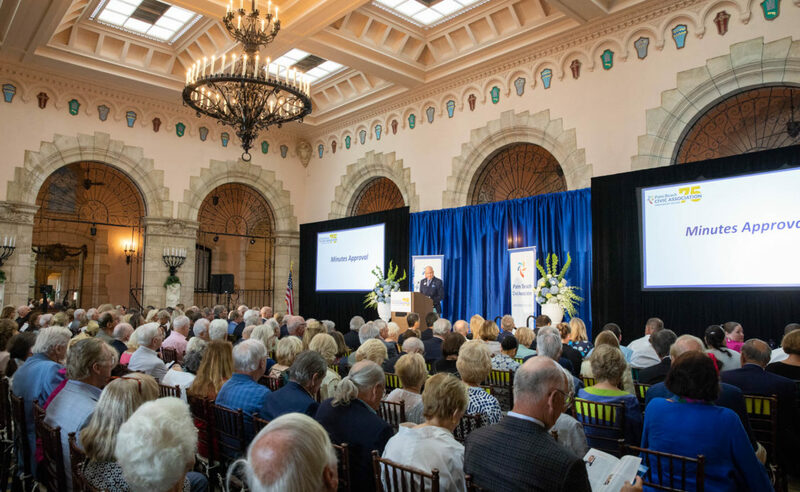 They can be adrift for years at a time and attract a wide variety of marine life, including skipjack tuna, sharks, billfish, juvenile yellowfin and bigeye tuna, and sea turtles, many of which end up dead or dying as part of the overall catch. FAD fishing is widespread and growing because of its increased efficiency—meaning more fish are caught with less effort. This method is used to catch almost half of the world’s tuna and is driving the overfishing of bigeye tuna across the Pacific Ocean. To date, there are no officially available estimates of the number of drifting FADs deployed by industrial fishing operations; but, an estimate of 50,000 to over 100,000 has been derived by the Pew Environmental Group.